In a first-of-its-kind initiative, Uttarakhand Traffic Directorate has decided to rope in children to make parents follow traffic rules. 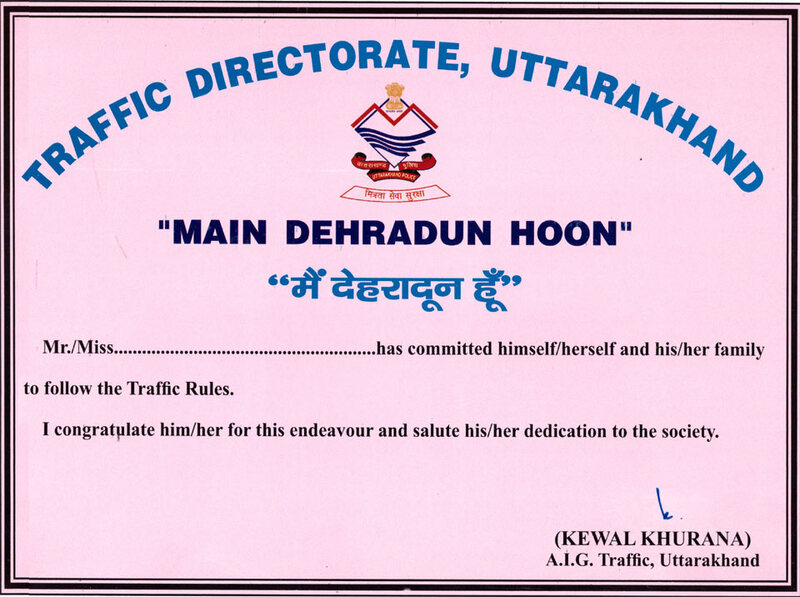 The campaign named 'Main Dehradun Hoon' will involve children who will make their parents accountable for following traffic rules. Under the campaign, cops will approach students in different schools and ask them to take a pledge to ensure their parents comply with all traffic rules in future. The initiative is based on the idea that children do not lie and they can encourage their parents to follow traffic rules. This Project will be started from Dehradun and later will expand to other cities. The students who sign up for the pledge would be given a certificate stating that the particular student is committed to ensuring that their parents abide by traffic rules. In case a parent is caught violating a traffic rule, cops will take back the certificate given to their ward. The aim of taking back the certificate is to tell parents who flout traffic norms that they have breached the trust of their children. 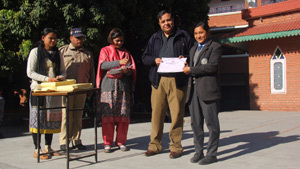 AIG, Kewal Khurana will personally distribute certificates in schools where 200 or more students take the pledge. Schools with the highest number of pledges would be rewarded. Residents can give their feedback on the initiative on WhatsApp on - 8755721002. 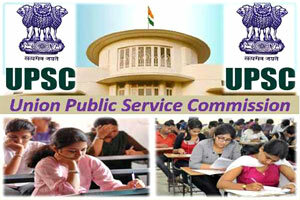 Cracking the civil services exam, which is conducted by the Union Public Service Commission (UPSC) and regarded as one of the toughest in the country, could become a little easier if one pledged to follow traffic norms. 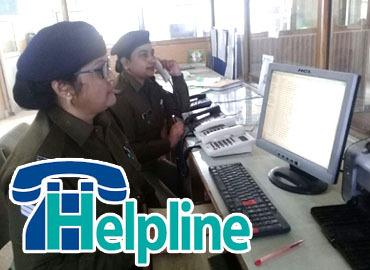 In a unique initiative, the traffic directorate will offer free coaching classes for civil services to college students who give a written assurance to abide by the traffic norms. The traffic directorate has rolled out some novel measures to make the city roads safer. The new initiative was an extension of the 'Main Dehradun Hoon' project. College students will be targeted by offering free civil services coaching on the condition that they pledge to follow traffic norms and make their parents comply too. The coaching would be provided for General Studies, CSAT and popular optional papers like Public Administration, Geography and History. Besides, a library would be set up with a pool of books recommended for the civil services preparation.